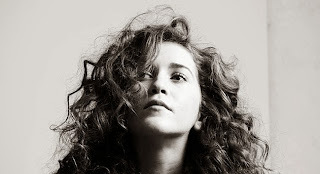 Rae Morris continues her rise from precocious talent to maturing songstress, following 'Do You Even Know?' with her recently released 'Closer' EP. While title track 'Closer' went for more of a bombastic R&B tinge, we prefer the soothing 'My God'. Listen to both tracks below. 'My God' harks back to Rae's early piano-heavy beginnings, which caught the attention of Atlantic Records (and us) when she was still a teen. The difference being that 'My God' soars and soars. If it was written by Chris Martin, 'My God' would probably be a #1 single by now. And I mean that as a compliment. Positively triumphant. The 'Closer' EP is out now. Find more info at raemorris.co.uk.